I’m back! Did you miss me? I’ve been so involved with my new project (details to come soon I promise) that I almost forgot about my Galley Peeps. So sorry. I promise to be more attentive in the future. As an apology I’m offering a very easy and super tasty meal for you. A two for one. 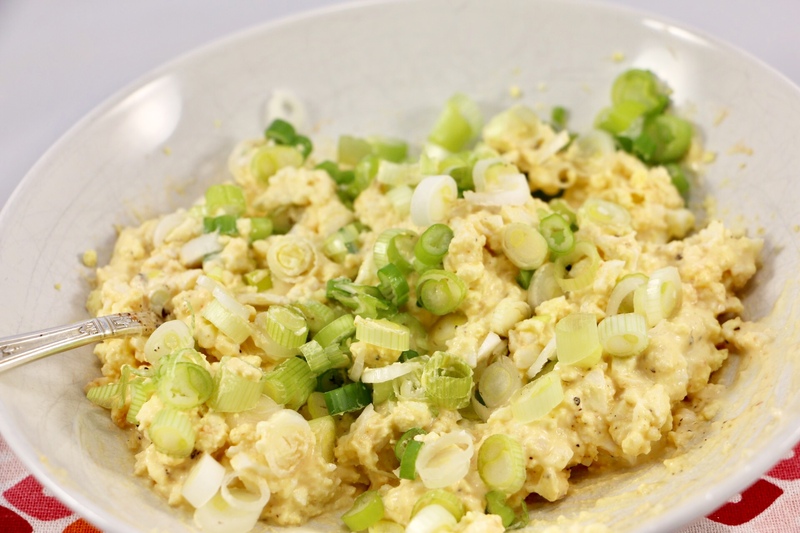 Bursting with flavour and a textural dream it brings back memories of my Mom’s egg salad sandwiches. Combined, it was all I could do to grab my fork and call this dinner. But I resisted. I had fish to fry. The term ‘Milanese’ makes it sound fancy doesn’t it but this way of cooking fish…or chicken…or pork makes it fancy in term only. It may even look a little fancy but only you will know how basic and easy it was to prepare. Season…dredge…dip…coat. 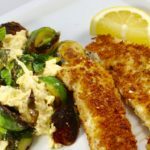 For the fish it was barley five minutes cook time once breaded. Barely enough time to set the table. It’s a dinner that should have been more than enough for four and a decent sized portion for six but Captain and I were such oinkers we gobbled the whole lot. Happy happy bellies! A super easy supper, ready in minutes. Remove to serving bowl and top with egg mixture tossing gently to combine. Gather 3 bowls: flour in one, whisked egg in another and combined panko and parmesan in the third. 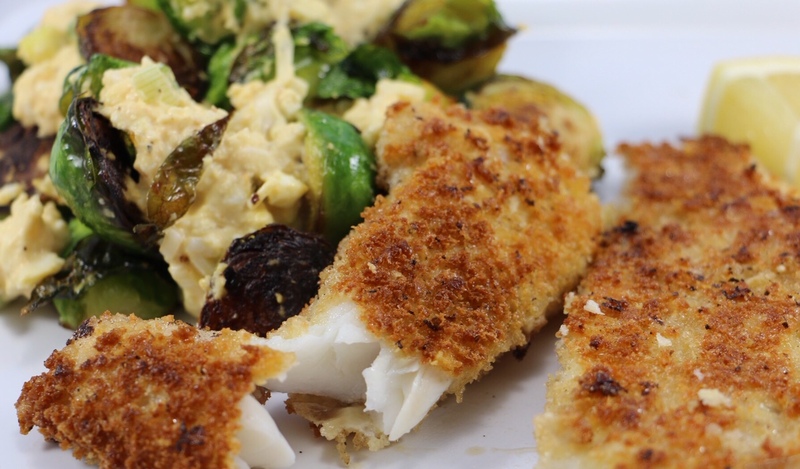 Dredge each fish piece in flour, then egg wetting each well, then finally coat with the panko cheese mixture. 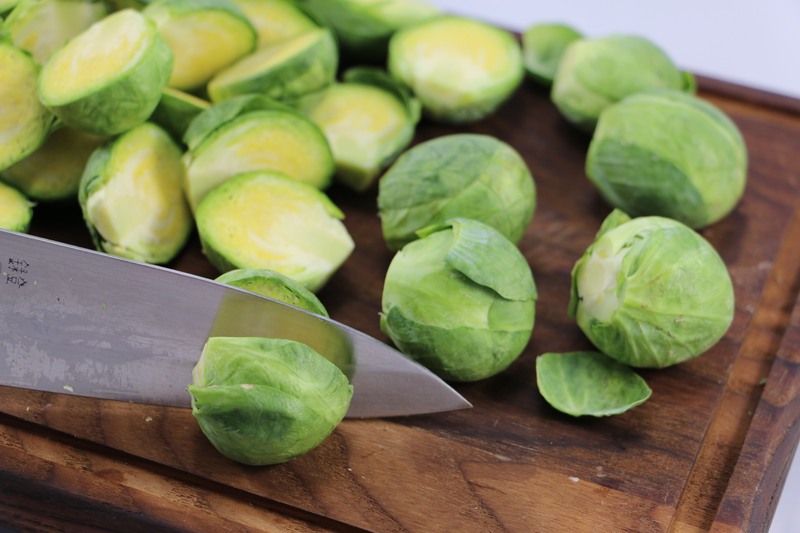 Wipe out the same pan you used for Brussels sprouts. Heat the oil and butter until it begins to bubble then add fish allowing each to brown well then flip and brown second side. 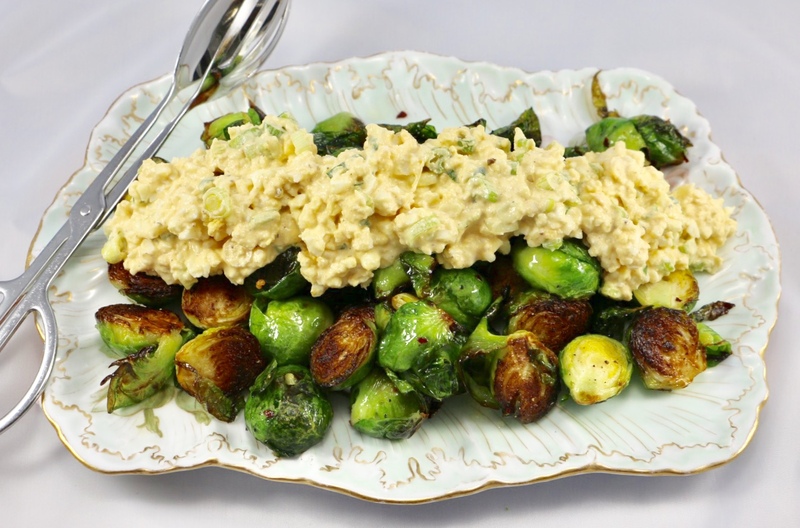 Inspiration for Brussels Sprouts thanks to What’s Cooking Good Looking and the egg salad was pure Momma memories.